MarketKonekt instantly connects users. The information about what is supplied and what is demanded is instantly sent to every registered user through the web site and on the users e-mail addresses. Users are also offered with direct real time communication over the internal Chat system. Golden Book, massive and innovative annual media which enables fast and easy access to valuable information for everyday need. It is the most widespread Macedonian Yellow Pages service in the country and the region, with richest Macedonian Business Directories and Listings. Over 60,000 information entities are categorised in detail according to the types of products/services, institutions, companies and individual craftsman. The content of Golden Book and the rest of the printed media (Libri i Artë, Golden Book Southeast and Golden Book Southwest) are offered at www.zk.mk. The cultural guide for Skopje. It contains all that you need to plan your free time for your pleasure and cultural elevation. 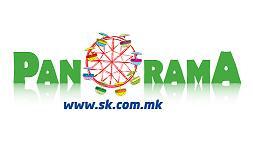 We gather and verify all detail about events concerning art, culture, party, entertainment and recreation in the city, all in one place on the portal www.sk.com.mk. The products and services of R3 Infomedia are promotional tools and media that provide unique benefits for companies, with direct impact of their sales and profit. Please contact us for all information concerning advertising space and other forms of promotion.